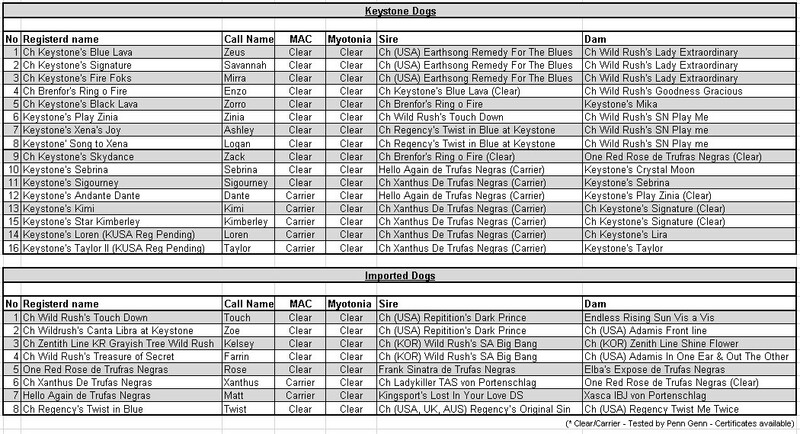 Breeding healthy dogs is very important to us at Keystone. We are committed to producing happy, healthy pups bred from happy healthy parents. Every puppy visits the Johannesburg Animal Eye Hospital before they go to their new home. We have also started DNA testing for MAC and Myotonia. Results of our dogs are available below. 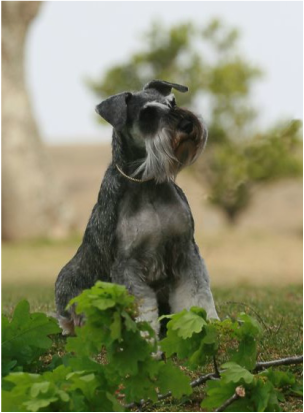 For more information on MAC and Myotonia, please follow the links to the info on the American Miniature Schnauzer Club Website - Mycobacterium Tuberculosis Complex (MAC) & Myotonia Congenita.